3. You can disable or enable the scrolling ticker. 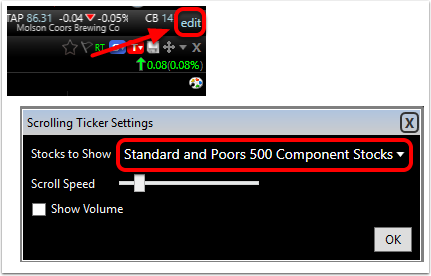 To change the list of scrolling symbols, select edit to the far right of the ticker. 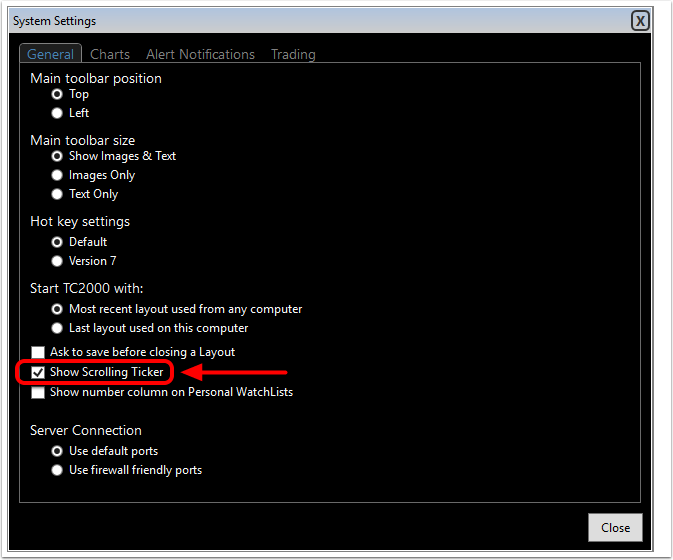 Click on the drop down beside Stocks to Show and select which watchlist you would like to have scrolling. To change the scrolling speed, move the slider to the right to speed it up or to the left to slow it down. 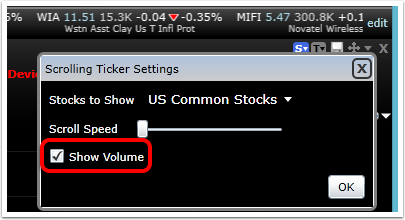 To show volume in the ticker, click the box to the left of Show Volume. 4. 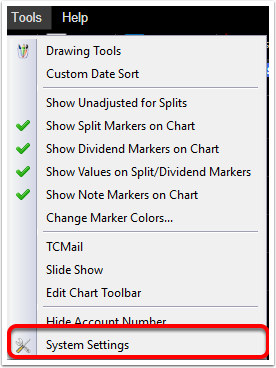 Click OK to save changes and close the window.